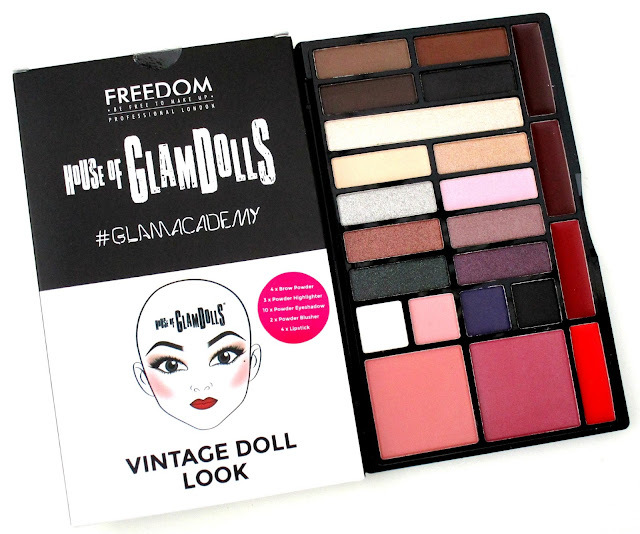 As some of you may know I'm a HUGE Freedom Makeup fan, the brand is very similar to the much loved Makeup Revolution which is actually because they are created by the very same people, so I always expect the same bargain prices as Makeup Rev but a whole new world of stunning makeup to choose from with Freedom Makeup. 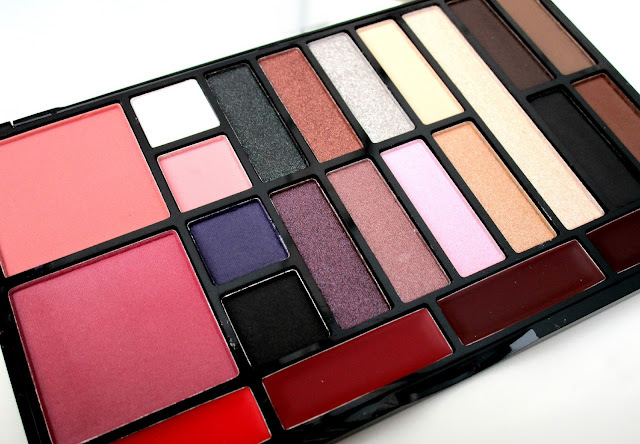 Recently we saw the launch of some exciting new palettes from Freedom and I couldnt to try one and review it for you. 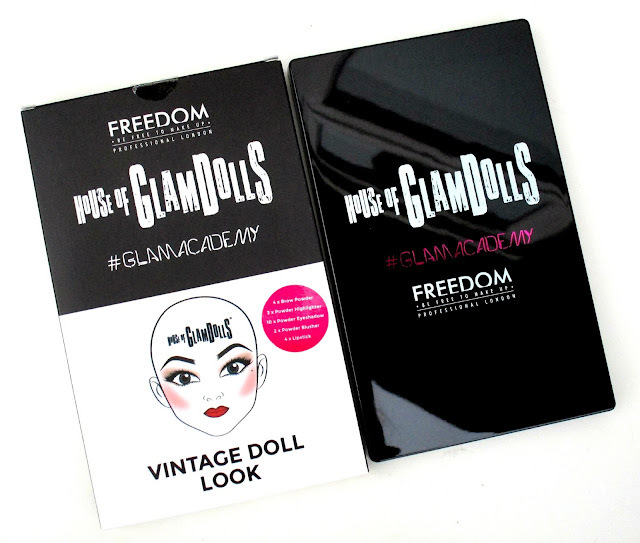 Freedom Makeup have recently paired up with the House of Glamdolls to release four new #Glamacademy palettes, theres 'Vintage Doll' which I'll be reviewing for you all today, 'Spirit Doll', 'Exotica Doll' and 'Fairy Doll', all of which offer different sets of shades to create an entire look (minus foundation) which I think is amazing and so convenient for travelling purposes because everything can be found in one place. The Vintage Doll Look palette* is inspired by “the timeless glamour of Old Hollywood and pin up beauty to reveal your ultimate siren“ and is totally up my street in terms of looks that can be created and the shades that come with it. The palette comes packaged in a glossy black plastic case with a large mirror inside which is always much appreciated. Inside theres a total of 23 shades to play with including 2 blushers, 12 eye shadows in a mixture of matte and shimmer finishes, 1 highlighter, 4 brow powders and 4 lipsticks, wowza that's a whole lot of products right there. In terms of the quailty and formulation of this palette there are some things that I love and some things that I was quite dissapointed with. 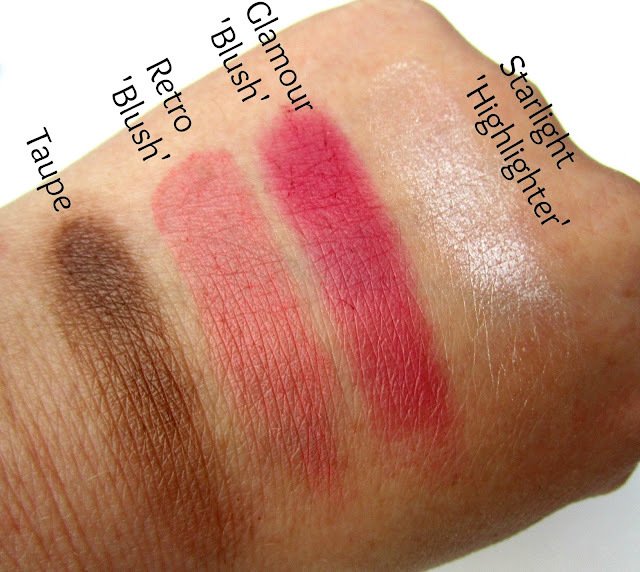 So lets start with the positives, I absolutly love the two blushes within the palette, they come in the shades Retro and Glamour which I think are super pretty and completment my skin tone really well and blend out beautifully with my Real Techniques Blush Brush. 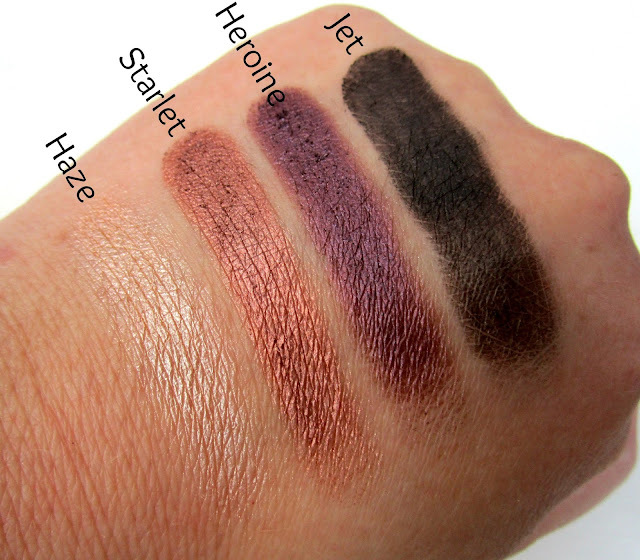 The four Brow Powders are also a hit with me, the only shade that I can actually use for my brows is Taupe but that doesnt mean I neglact the other 3 shades, oh no no no, they double up as awesome eyeshadows and I have been using them a lot through my crease to add defintion. The highlighter within the palette is in the shade 'Starlight' which is a silvery/white irrideant colour, it looks super pretty on the cheek bones and can be built up as much as you like and it doesnt contain chunks of glitter which is a major bonus for me, the only negative with the highlighter is that it comes in a narrow pan in the palette which makes it hard to pick up with a brush. The eyeshadows are slightly hit and miss for me, most of the shades are well pigmented but I did find some of the shimmer shades had quite a lot of fall out when I was playing around with them and I did get some slight creasing with the shimmer shades too however, I have really enjoyed the matte shades and the brow shades work really well as eyeshadows too. And lastly, the lip shades, their are four to choose from ranging from a classic red going darker as you go a long, these are probably what I was most dissapointed with, I was expecting something more opaque but instead they are more like a glossy, tinted balms. 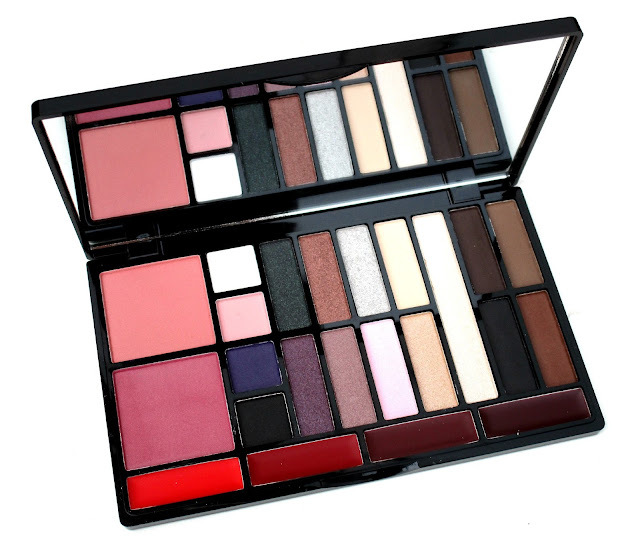 Overall as you can see I do really like this palette and the idea behind it is amazing, it's just a shame about the lipsticks and a few of the eyeshadows, however the brow shades, highlighter, matte shadows and blushes are amazing and I've been using them on a daily basis so I certainly havent written this palette off in terms of makeup bag status at all. The palette is priced at just £8.00 which I think is such a bargain for what you get and it's such a great idea when it comes to traveling too. Have you tried any of the Freedom House of GlamDolls Palettes beaut's? What did you think? I'd love to know. I posted about the spirit doll version of this palette today and I totally agree about the lip products, more like glosses or sheer tints! The eyeshadows were hit or miss too but I LOVE the blushes! This palette looks incredible. 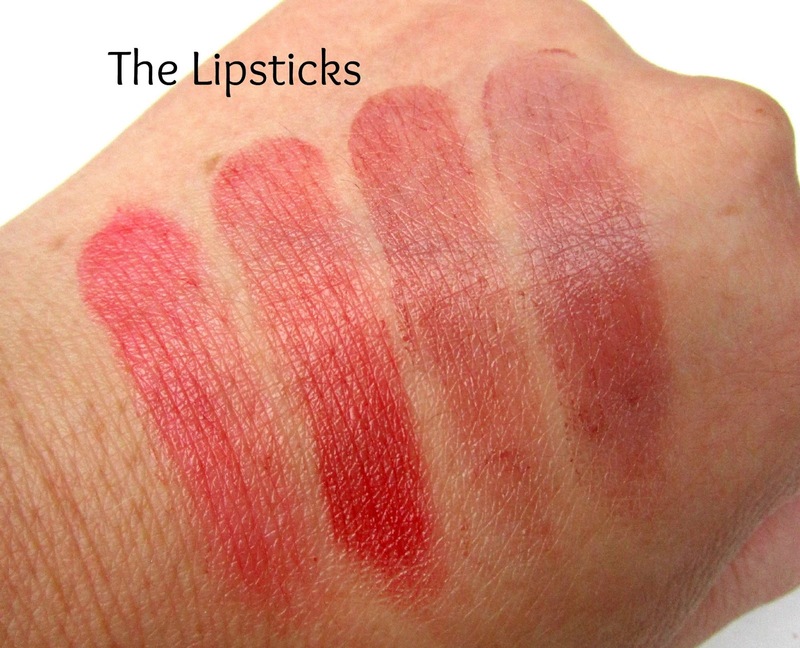 Not sure I'd use the lip products but love some of Eyeshadow colours! Think the cardboard packaging is kind of creepy but everything in this palette looks amazing for the price, regardless of the couple of things you mentioned!